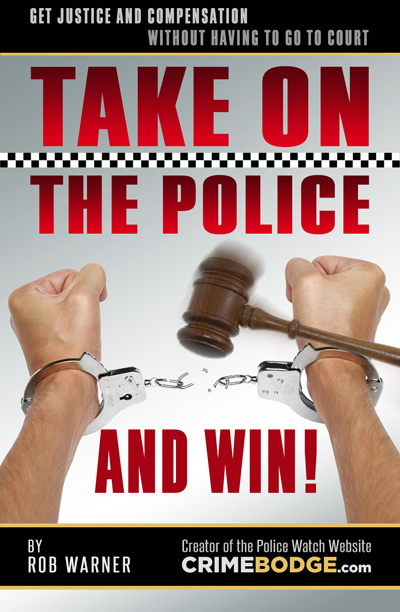 Have the police demanded you answer questions on the street under threat of arrest? Or forced you to undergo an unlawful stop and search when you invoked your right to silence? Have you had the police arrive at your home with bailiffs, or pull you over in a vehicle demanding that the bailiffs take your property for nothing more than an unpaid parking ticket or civil debt? Have the police forced their way into your home without just cause or a warrant? Have the police verbally abused you, restrained you, threatened you for taking photographs or forced you to remain detained against your will when you have done nothing more than disagree with them? Have the police snatched your mobile phone for daring to record them in public? Have the police issued you with an unsubstantiated harassment warning or information notice, ruining your employment chances due to an enhanced CRB check? Have the police made verbal or physical threats to you in the course of their duties or attempted to prosecute you for a fictionalised crime? Have the police refused to investigate or record a crime that you have reported? If you have experienced any of the above, or similar acts of misconduct, then we have written a comprehensive guide to help you achieve justice. Not just by ensuring that offending police officers are disciplined to the full extent of the law, but by obtaining compensation for the complainant. Without ever having to go to court! 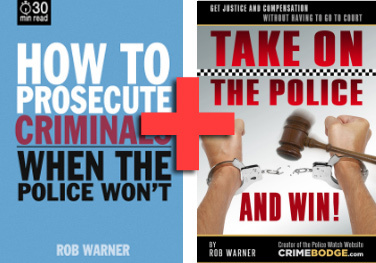 If you have been assaulted by the police or unlawfully detained, if they have forced their way into your home without just cause, harassed or bullied you into talking to them or abused your rights, then this EBOOK will help you right those wrongs! No need to print off and post. Just click and complete, select the force from the drop down menu and email it directly. 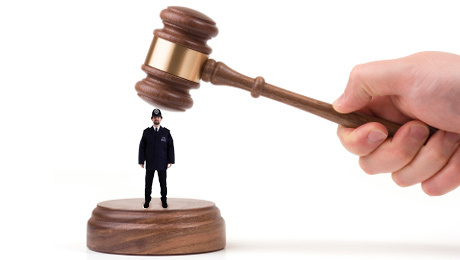 More and more people are using their statutory right to prosecute – to bring offenders to justice – when the police, quite simply, can’t be bothered.